The interior of Coffee with Companions in McAllen. McALLEN — A new business in the city is combining home-style brewing with an environment friendly to four-legged friends. Jessenia Rodriguez, 22, has had her mind set on becoming an entrepreneur since telling her parents at a young age she planned to be her own boss. “ I told my daddy, I’m not going to work for someone, I want to be the boss,” Rodriguez added. 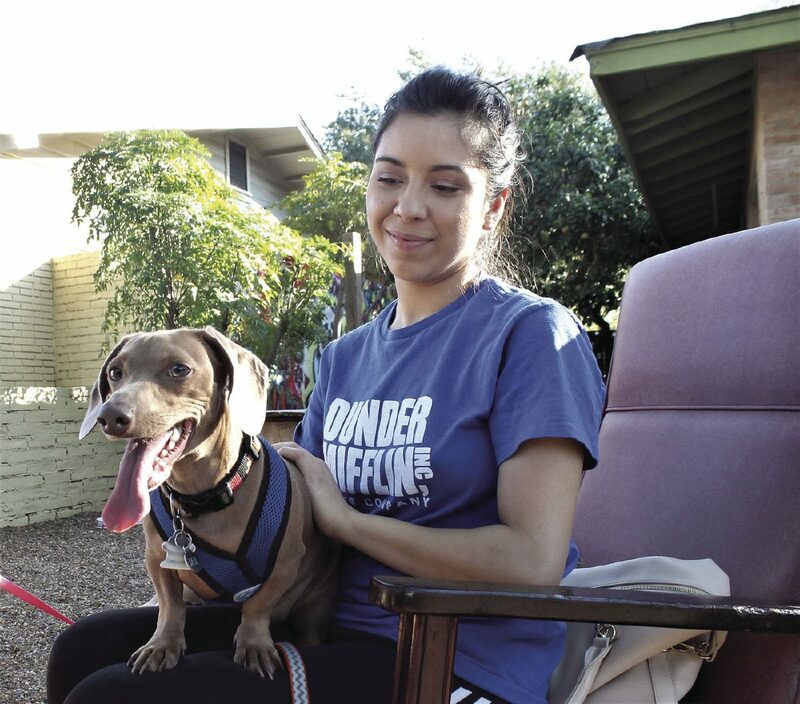 Mission Resident Alissa Castañeda visits Coffee with Companions with her dachshund Jacks in McAllen. The Mission native, who is a business management student at the University of Texas Rio Grande Valley, was assigned a school project where she and classmates had to brainstorm and create an imaginary business and learn how to run it. That’s when Rodriguez got the idea to make the coffee shop dog-friendly. Now she is putting the education she received at UTRGV to start the business she has been dreaming about for years. “I wanted to be able to have a business, whether it was a coffee shop or not, and that’s why I went into business management,” she said. Rodriguez also credits her father, who’s a local businessman himself. He has become an example for her with teachable moments and making sure she becomes successful. Rodriguez followed the proper procedure on opening a business in the city. As for accommodating pets in the coffee shop, the city requested they stay outdoors. The coffee shop provides an open space for pets to play and includes a treat for the pets while guests may occupy the outdoor furniture in the daytime or in the evening. 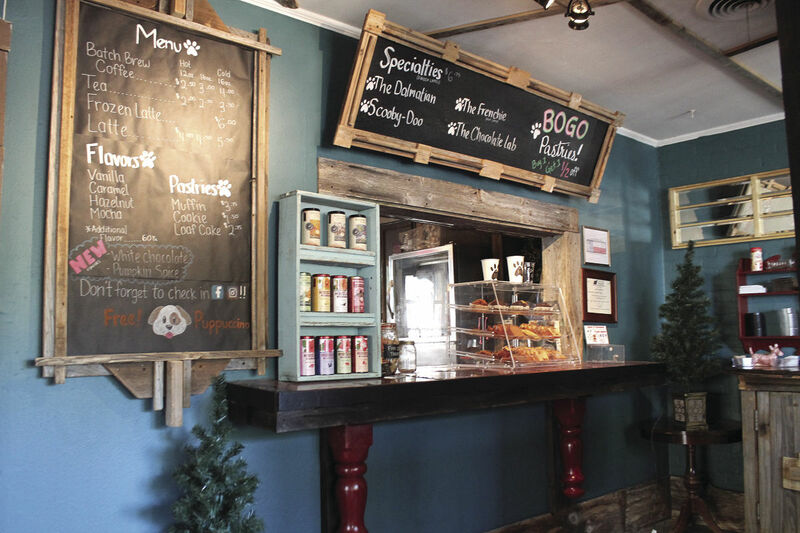 Rodriguez doesn’t just focus on fresh brews; baked pastries have also been a success. She is also setting goals to widen her menu depending on the preferences of customers. 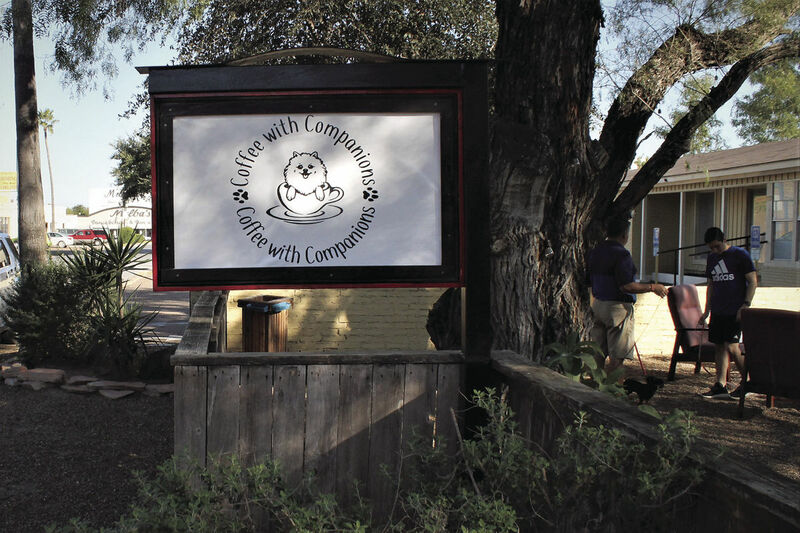 Coffee with Companions is located on 1113 Upas Ave.